Posted: November 17, 2015 in Obscurities, Who,What,Where & When...? 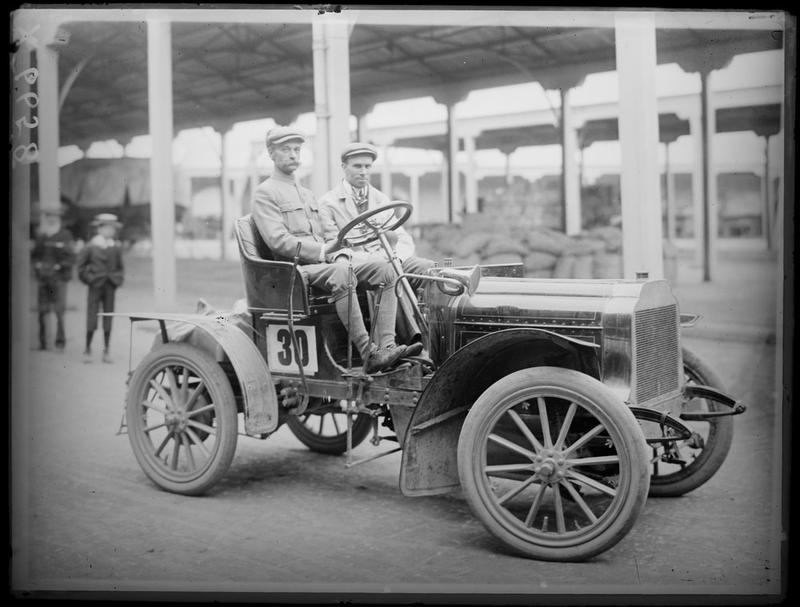 Runner-up of the event organised by The Automobile Club of Victoria was Tom Rand’s Decauville, Tarrant’s average speed, 26mph for the 3 miles in a time of 6 minutes 55 seconds. ‘The Automobile Club of Victoria’ had another good turnout last Saturday in response to an invitation from the Commercial Travellers Association to be present at their annual picnic on the Sandown Park Racecourse’. Around 1400 people attended in total. ‘Upwards of 25 cars left Alexandra Avenue (South Yarra, a distance of about 25Km) and proceeded at a leisurely pace via St Kilda, Caulfield, Oakleigh and Springvale. During the afternoon the number of cars swelled to 85, while there were more motor cycles as well. The road was in a terribly dusty state. At the course the conditions were more enjoyable. The three motor contests were watched with interest by the picnickers, the ladies especially evincing much enthusiasm. The presence of a neat electric car in which were seated 2 ladies, one of whom handled the motor with the skill of an expert, aroused the admiration of the gentlemen and the envy of the ladies. It was indeed a novel sight and will go a long way to removing the impression existing that an automobile is difficult to manage. 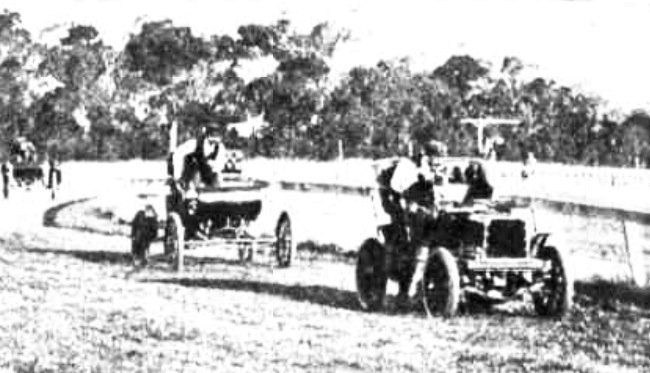 ‘Nine out of 16 entries faced the starter in the Voiturette race. There was some delay owing to a false start but an interesting race resulted. Receiving a 500 yards start, Crooke was first in 3 min 55.5 seconds from Kellow from the 50 yard mark in 4 mins 2.5 seconds’. 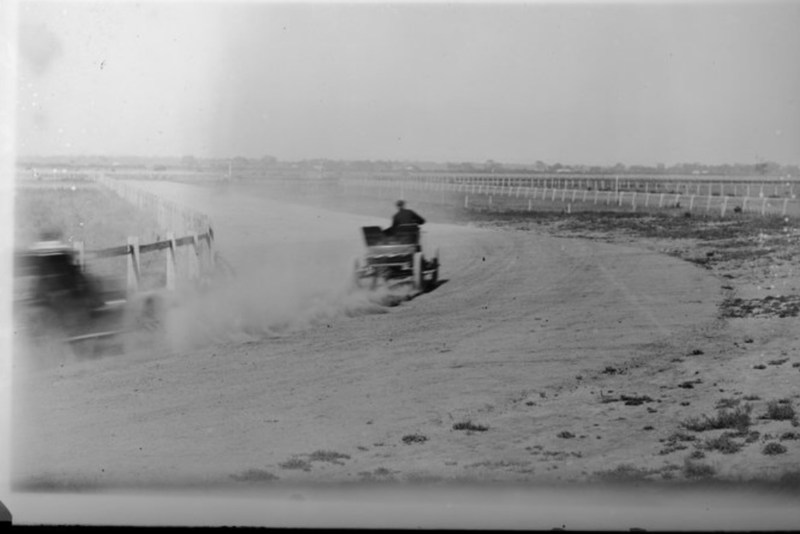 Crooke is a notable motoring and motor racing pioneer himself, he established the Aspendale Racecourse, the horse racing facility later modified to accomodate a Speedway. 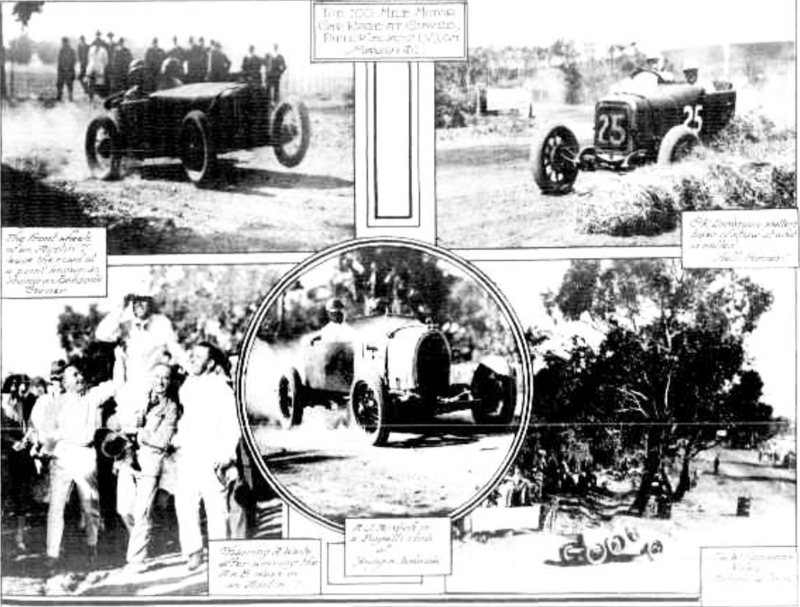 The main threads of this article are the 1904 Sandown event, the early history of the car in Australia until The Great Depression and Harley Tarrant and his cars. An article about Crooke the ‘bushranger, master marksman, champion jockey, race promoter, track owner and racing driver’ as his descendants website describe the man is a fascinating topic for another time! 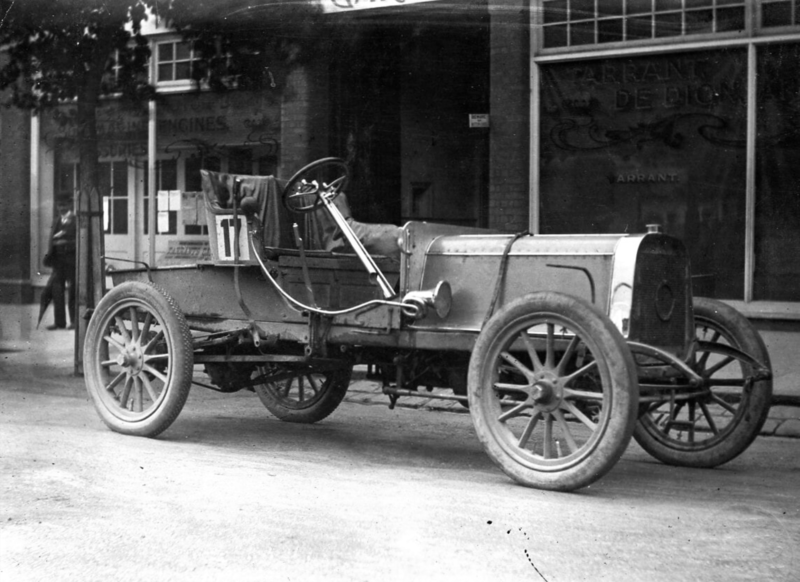 Unfortunately all of the published pictures of Crooke on the day are ‘ropey’ and hence i have not led with a shot of Crooke’s winning Locomobile, a 41/2 HP 2 cylinder steam engined conveyance built in Bridgeport, Connecticut. Second was the 5HP, single cylinder, petrol engined Humberette ‘raced’ by CB Kellow. Humber built these cars at a factory in Beeston, Nottingham, UK. Some modern reports have it that Harley drove one of his own Tarrant’s but ‘The Australasian’ and ‘The Age’ results say the victorious car was an Argyll, a 10HP, 2 cylinder petrol engined car made in Bridgton, Glasgow, Scotland. It is one of the makes for which Tarrant’s business ‘Tarrant Motor and Engineering Co’ held the franchise, others included F.I.A.T, Sunbeam, FN and De Dion. Their premises were in Russell Street, Melbourne and later Queensbridge Street, South Melbourne. ‘The Age’ reported that the times were ‘nothing sensational owing to the heavy nature of the going’, the ‘roadster motorcycle race excited the most sensational interest. The machines were sent around at terrific speed-over 30 miles an hour’, the winner C Mayman from HB James and AE Sutton, make of machines not disclosed! A little bit of research suggests that the first 2 bikes in the race of Charlie Mayman and Harry James were ‘Beauchamps’ built by Mayman at Edward Beauchamp’s cycle works in The Arcade, Chapel Street Prahran, an inner Melbourne suburb. James was Dunlop’s Advertising Manager, Mayman built 2 bikes to James’ order for Dunlop. It may also be that Arthur Sutton’s machine, he was a friend of Mayman’s, was also a Beauchamp. 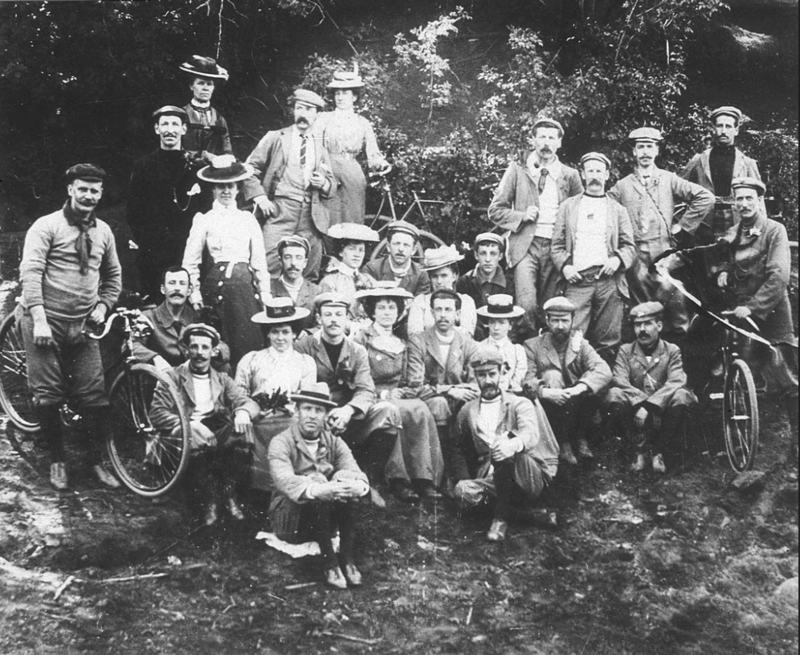 Mayman built 9 machines before his short life ended after a tyre blew on a machine he was riding at Eaglehawk’s Canterbury Park, near Bendigo in Victoria’s ‘Goldfields’ area on Boxing Day 1904. 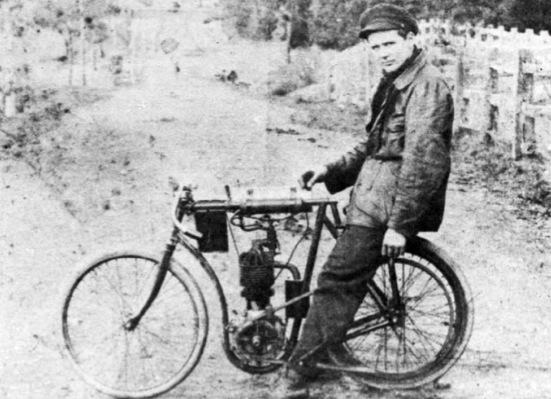 Just 24, he was an amazing engineer, he built himself a car in 1903/4 and a gifted rider with the world at his feet. 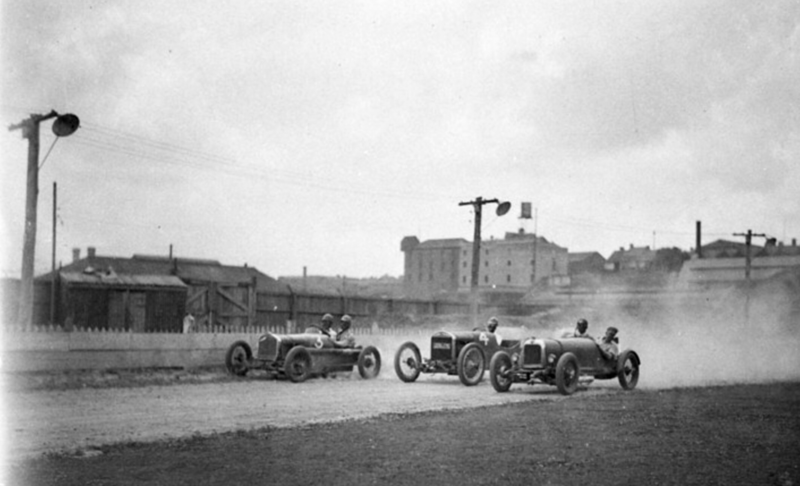 And so commenced a period of racing unregulated cars on open roads between cities in Europe. This evolved after many deaths, from racing on open to closed road circuits. 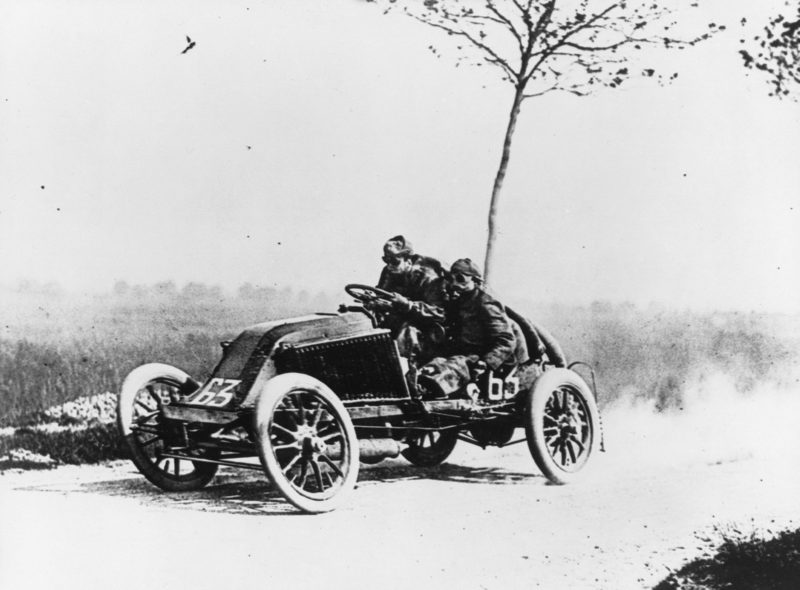 During the Paris-Madrid road race in 1903 a number of people, both drivers and pedestrians – including Marcel Renault were killed, the race was stopped by French authorities at Bordeaux. Further road based events of this type were banned. 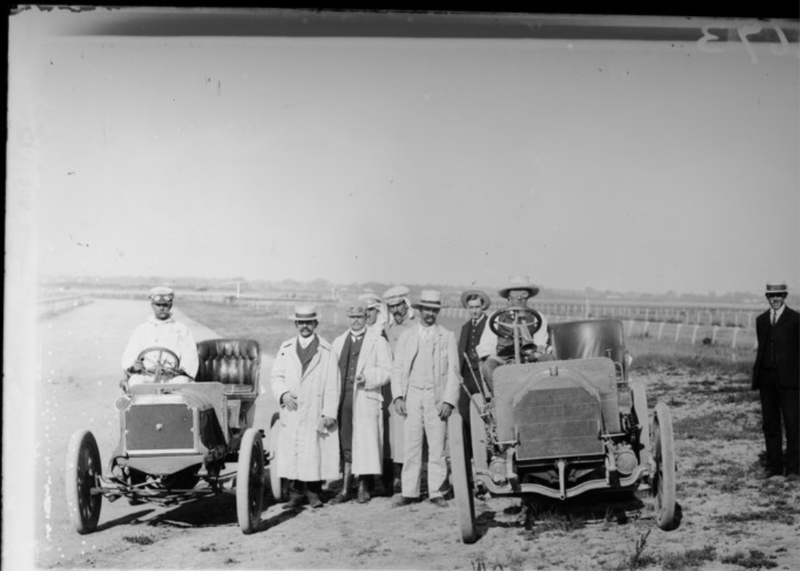 By Sandown’s 1904 event motor racing was already 10 years old but the impact of the competition on the 1400 present to see the deeds of Melbourne’s pioneering motorists was significant and must be seen in the context of the time in Australia. 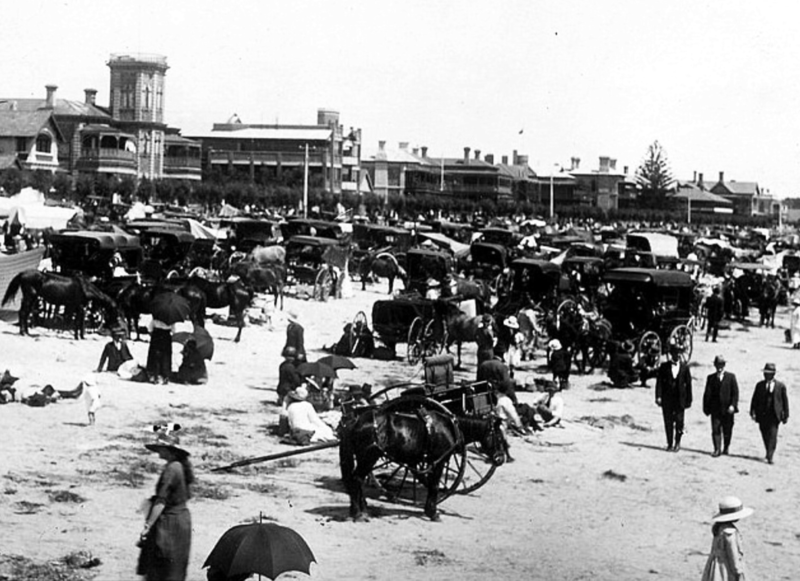 There were less than 300 cars in Victoria in 1904, the population of the state was 1.3 million people. The rarity, novelty value and impact of the noisy, fast by the standards of the time, technological wonders cannot be overstated. There are now around 4.55 million cars and 5.9 million people in Victoria, 1 car for every 3300 people in 1904 compared with 1 car for every 1.23 people now. Whilst motoring was in its pioneering years the car was getting plenty of press about its impact, expected benefits, as well as perceived negatives about changes to existing paradigms. The local papers were full of commentary about the draft British ‘Motor Car Bill’ to regulate the use of cars for the first time in the UK and Melbourne was ‘abuzz’ with the new technology. 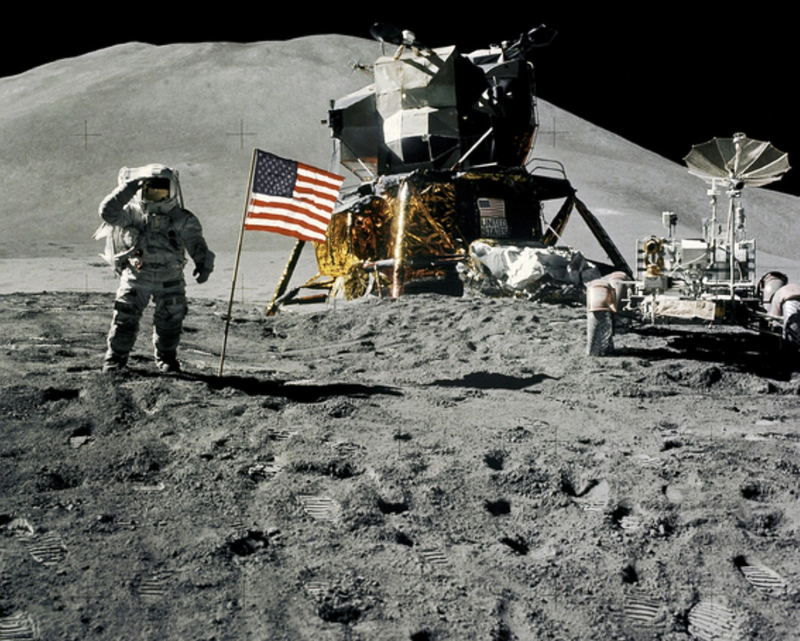 It is sobering and amazing to look at the 10 years olds in the Sandown picture above and imagine their reflections as 80 year olds looking at the Moon Vehicle during the 1971 Apollo 15 mission. 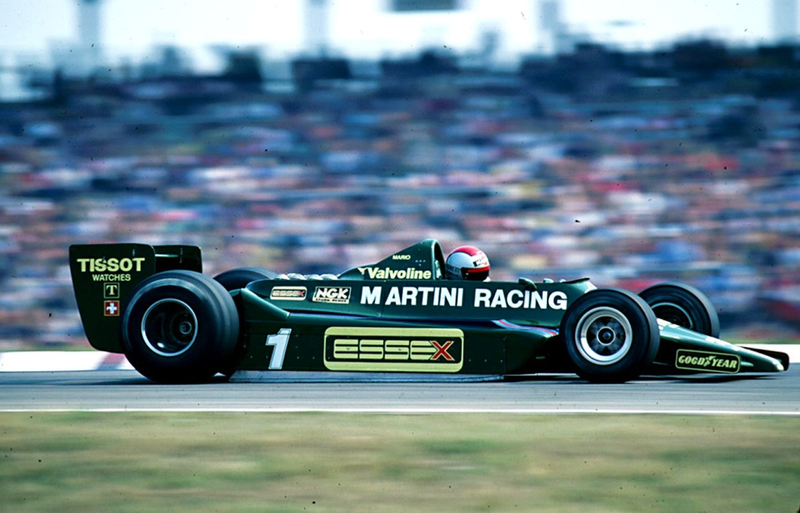 Or as a 90 year old being blown away by the outrageous looks and speed of Mario Andretti’s ‘ground effect’ Lotus 79 in 1978. 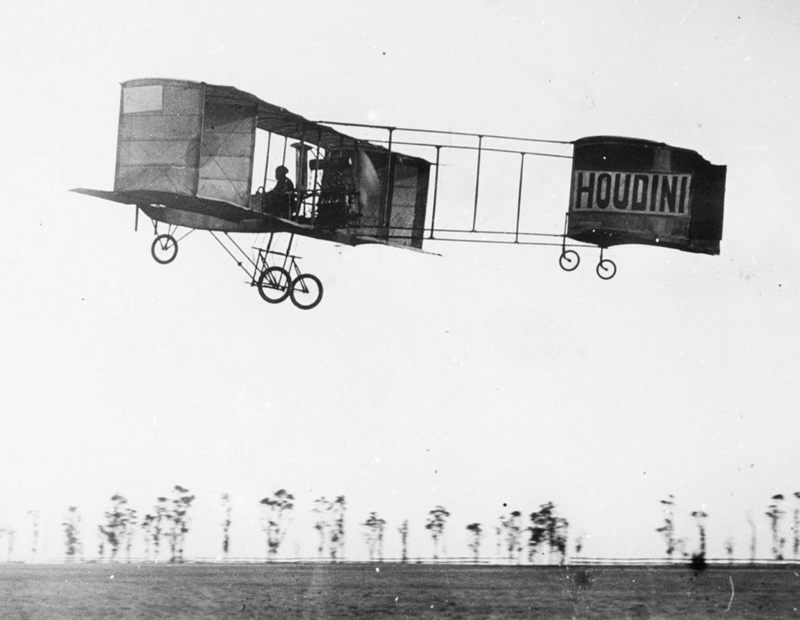 The Wright brothers first ‘heavier than air’ human flight took place only a few months before the Sandown meeting at Kill Devil Hills, North Carolina on 17 December 1903. All in those childrens lifetimes. An Australian Government publication ‘Linking a Nation’ forms the basis of this summary of our early years of motoring. The motor age began in Australia, as elsewhere in the world, at the beginning of the twentieth century. 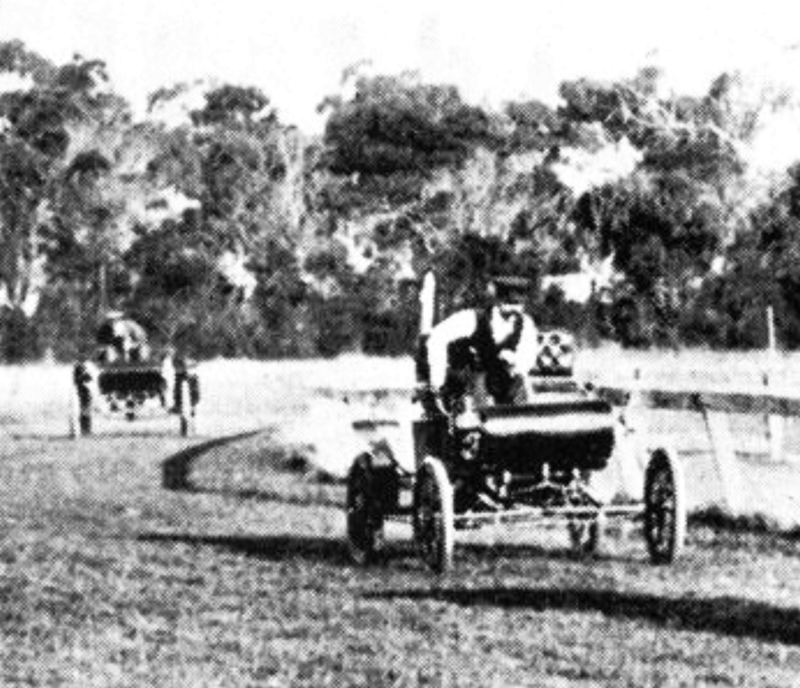 The first Australian experiments in car construction were in the late 1890s involving both steam and internal combustion engines, both of which were successful. It soon became clear that for purposes such a cars, internal combustion had advantages over steam. Steam remained favoured for early buses, trucks and mobile machinery. 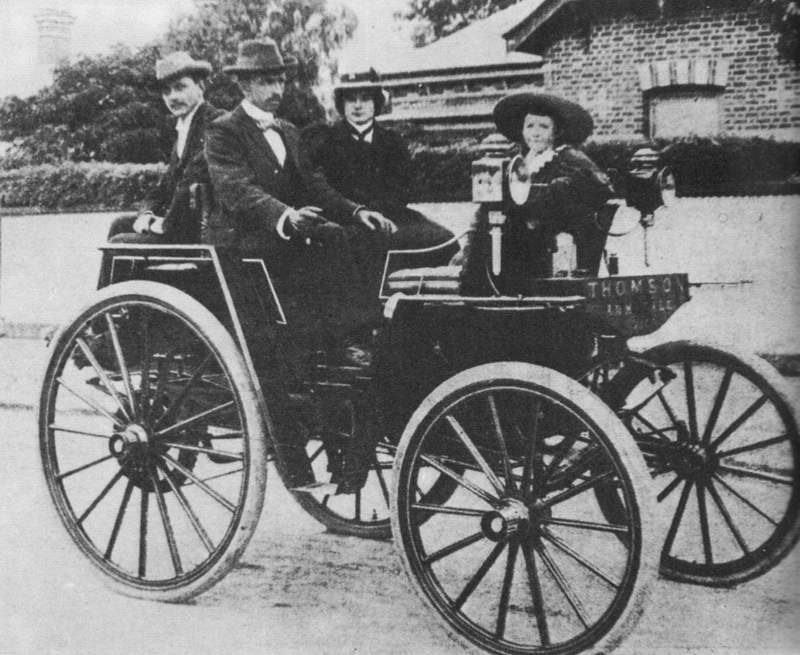 Australia’s first petrol car (the first steam car was made by Herbert Thomson and made its debut at the Malvern Cricket Ground, Melbourne in June 1898) was made in Melbourne by Colonel Harry Tarrant in 1897. It was experimental but Tarrant learnt enough to begin production on a commercial basis in 1901. He was joined in the business by a Melbourne bicycle maker, Howard Lewis. By 1909 Tarrant was a manufacturer, importer and distributor, building his own cars as well as acquiring the Ford franchise. This was the year Henry Ford began production of his famous T Model, the world’s first mass-produced car, so it was an astute business move on Tarrant’s part. 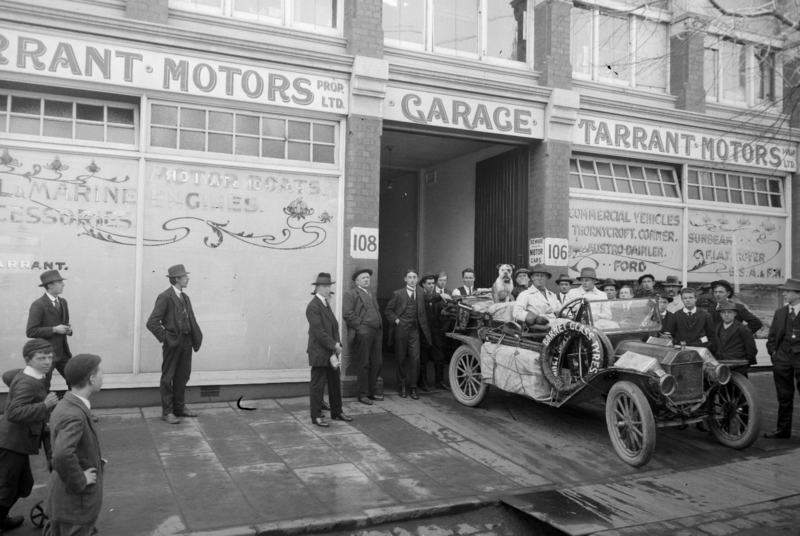 Tarrant also had the Melbourne dealership for more exotic marques such as Rover, Sunbeam and Mercedes. A short biography of Tarrant and some photos of his cars is included at the end of this article. Public reaction to the car was far from universally favourable. Conservative people tended to dislike them. ‘Young men with money loved the speed and freedom it gave and of course were resented by other elements in society for their selfish pleasures’. Doctors soon found cars superior to horses and their early extensive use of cars to make house calls did much to make cars respectable. ‘Doctors on duty could not be considered maniacs selfishly out on a spree frightening horses and old ladies’…. Speed enabled people to lead more productive lives. The railway and the tram already had proved that, but since they were for public use, they seemed less self-indulgent than the car which was very much the preserve of the rich in its early years. 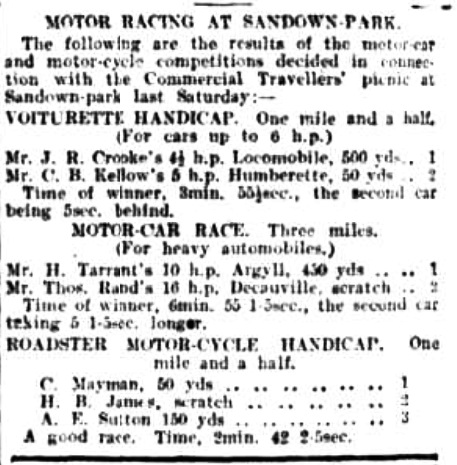 The list of motoring attendees at the Sandown 1904 event is like an entry from the ‘society pages’ of the day. Even though car numbers were low in the first decade of the twentieth century their impact was great. The Australian Constitution (Australia as a country commenced on 1 January 1901, until then the colonies were separate) framed just before the motor age was silent on the topic of regulation so regulatory responsibility lay with the states. 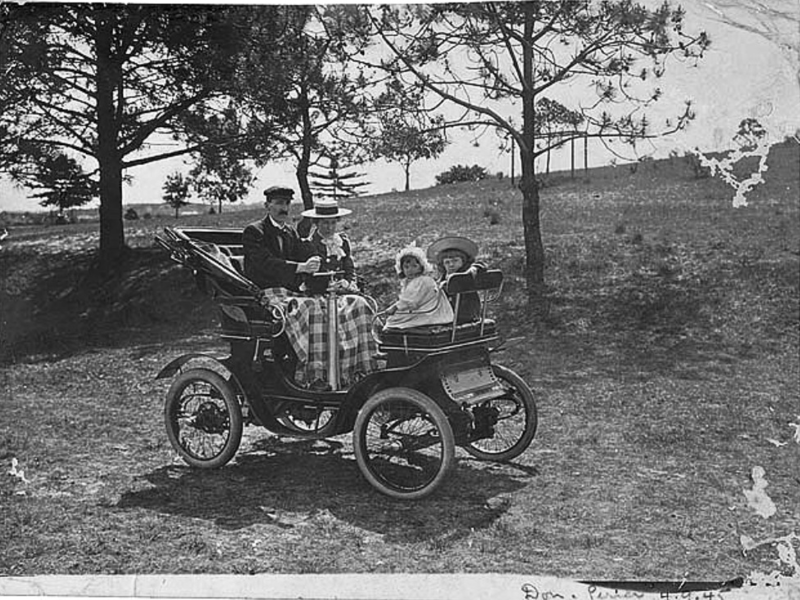 The state with the most emphasis on moral improvement, South Australia first regulated the car in 1904. The South Australian parliament legislated for the registration of cars and speed limits in towns and cities varying between four and twelve miles per hour (6 and 19km/h). 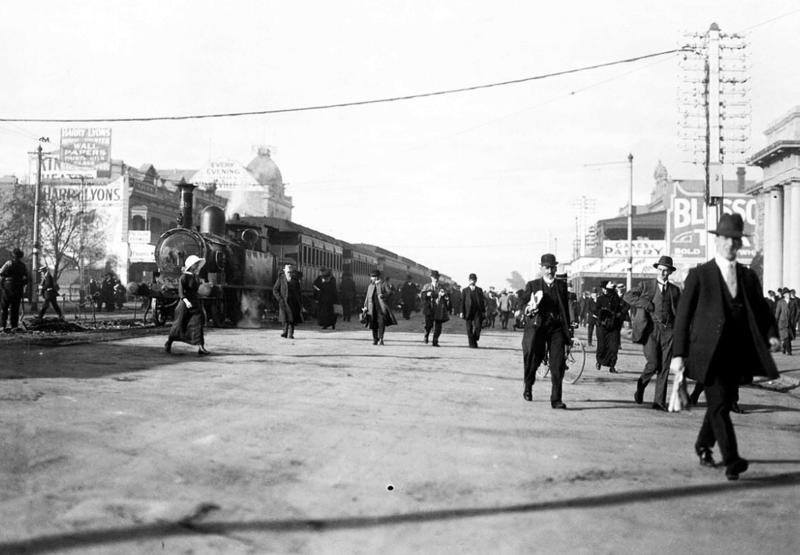 These reflected the rules under which trains travelled along Adelaide, ‘The City of Churchs’ streets. In other states initial regulation was by local councils which imposed a wide range of speed limits; Sydney 8mph, in Parramatta 6mph and in Hunter’s Hill 10mph. 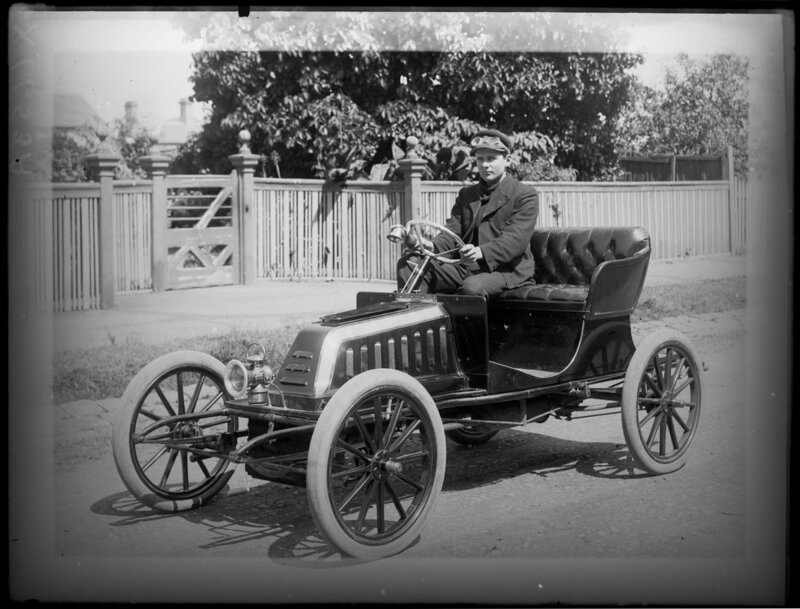 Very early in motoring history, Australian police regularly fined motorists for excessive speed. The police tended to ignore the local limits and instead rely on an old common-law charge which applied to horse drawn vehicles of ‘furious driving’. This infuriated motorists as it was arbitrary. 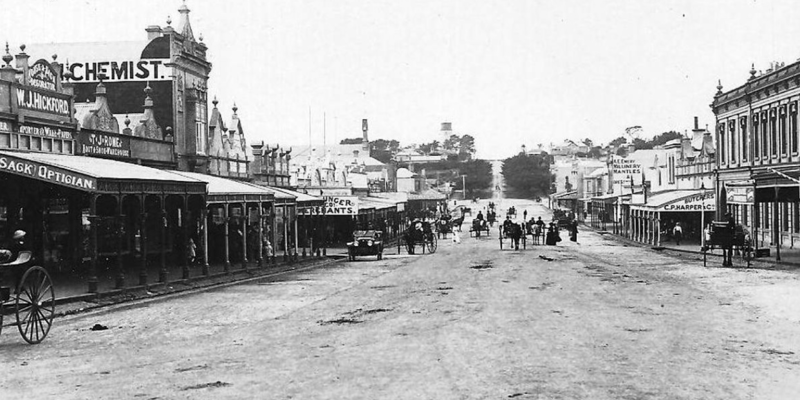 In New South Wales, the Motor Traffic Act of 1909 removed these anomalies and laid the foundation for statewide regulation, licensing of drivers and registration of vehicles (for a fee), and standardised speed limits at 15mph within five miles of Sydney’s GPO. The principles it enshrined remain the basis of traffic regulation in Australia today. The new Commonwealth Parliament was soon aware of the importance new automotive technology and in 1902 imposed customs duties on imported motor bodies to encourage local manufacture. At the time and until the introduction of the Ford Model T all cars were handmade and most motor bodies were built by firms which also built horse-drawn vehicles. This meant that carriage builders could easily adapt to the new technology which to them was not new. Only the means of traction and the details of design had changed. Most chassis continued to be imported. This prompted a short-lived revival of the carriage-making trade which had gone into decline in the 1890s with the popularity of the ‘sulky’ which needed no body. In 1917 the government banned motor-body imports, a year later eased to a restriction of one import allowed per two local bodies built. The following decade was the heyday of the medium-sized motor-body builder, mostly former horse carriage builders, or firms like Smith and Waddington in Sydney who also built timber trams and railway carriages. Motor body production reached about 90,000 by 1926. 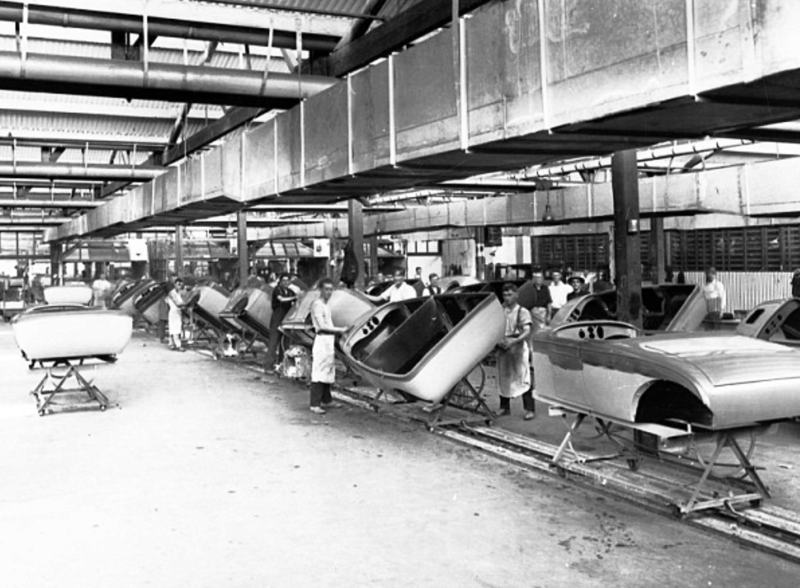 Of these, some 36,171 were produced by one firm, Holden Motor Body Builders, founded in 1920 by the Adelaide carriage builders, Holden and Frost. 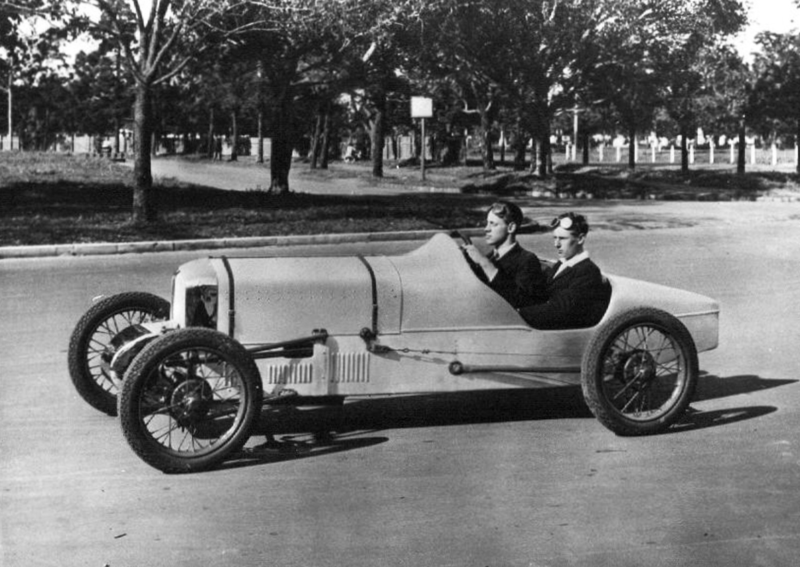 They produced their first motor body in 1917 and by the mid 1920s dominated the Australian motor-body industry. Car numbers, though, remained small. There were only 3,978 motor vehicles in all of New South Wales as late as 1911, just as the flood of Model Ts began to surge. They quickly replaced the horse-drawn carriage as the preferred means of city transport of the urban elite. The saddle horse quickly disappeared from city streets. It had always been an affectation of the wealthy urban male, a car was an excellent substitute. Horsepower remained preferred for deliveries and short-distance cabs. Hansom cabs remained part of the scene in Australian cities right up till the 1930s. In 1911 there were just three motor vans in Sydney, compared with 1,303 horse vans. A decade later horses still predominated, with 1,603 horse vans and just 376 motor vans. By 1927, though, these proportions were just about reversed, with 2,016 motor vans but only 379 horse vans. 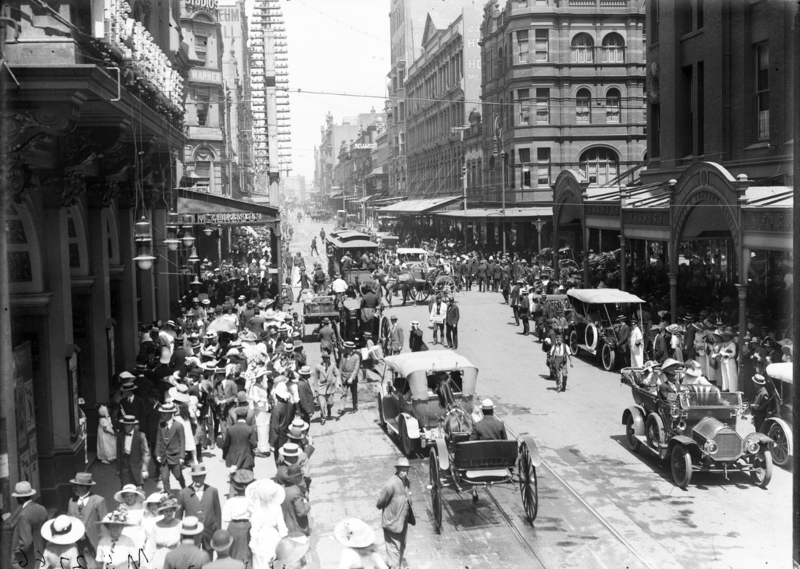 A survey of Sydney traffic in July 1923 revealed that 39.2 percent of vehicle movements were by horse-drawn vehicles, 33.8 percent by car and 27 percent by motor van or lorry. On that day most people out and about in Sydney were travelling on trams. The introduction of the Model T Ford and the rapid improvement of engine technology during World War I led to the explosion of car use. From 1911 to 1916 motor vehicle numbers in Australia almost quadrupled. They then more than doubled in the next five years (when markets were interrupted by the War) and quadrupled again to 1926. American imports dominated the market. In 1917, the very worse year of the War, there were 15,000 cars imported; 10,000 Model T Fords, 2,300 Dodges, 1,500 Buicks and 1,200 other makes. The Model T was designed with US conditions in mind, these were not so different from Australia’s with muddy or dusty roads and long distances. The Model T had simple, robust components, an austere, sturdy body and high clearances ideal for rural conditions in both countries. 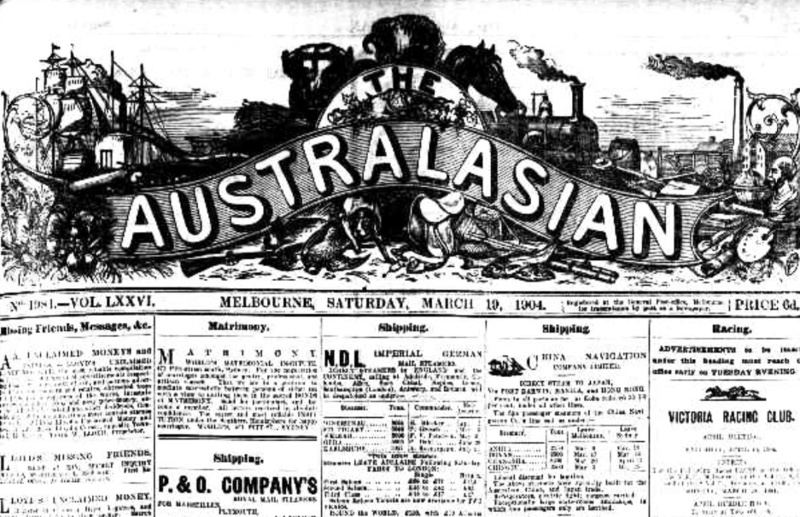 With the growth of the Australian car market, and given high duties on imports, big manufacturers decided to establish plants in Australia during the mid 1920s. Ford set up a factory at Geelong in 1925. In 1926 General Motors also established itself in Victoria, at Fishermen’s Bend near Melbourne. General Motors made this a joint venture with Holden’s of Adelaide, thus establishing the distinctively Australian, long-lived marque of General Motors Holden (GMH). Both Ford and GMH assembled imported chassis at the works and built local bodies to fit on them. Almost immediately, the old timber carriage-building tradition began to die out, as these factories had metal presses. Body designs changed rapidly as metal bodies requiring steel pressings became the norm. Timber was still used for some features but in 1937 the first all-steel car was produced, anticipating the shape of the post-war industry. During the 1920s, the motor became a feature of everyday life for a large proportion of the population for the first time. In 1920 there was one car for every 55 people in Australia; by 1929 this had increased to one for every eleven people, compared with one car for about every four people in the 1970s and one for every two in 2015. The figures indicate that in 1920 a car was a rare luxury, but that a decade later it had penetrated most middle class households and was quite widespread. By 1970, most people in Australia who wanted a car enough could have one, although a quarter of all households continued to choose not to have one. During the crucial decade of the 1920s, car prices fell sharply while wages were rising. A new Chevrolet cost 545 pounds in 1920 but only 210 pounds in 1926. 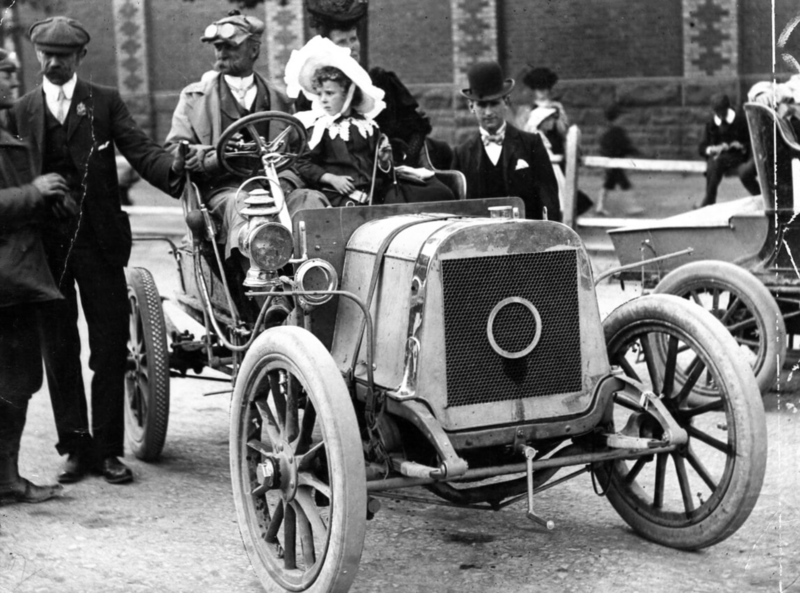 The cars were constantly getting better too; more comfortable and safer – with pneumatic tyres, all-wheel brakes and enclosed bodies making them far more convenient than early models which were only marginally more comfortable than a buggy. ‘The twenties saw the growth of motor sport, with speedways mushrooming all over the country and motorists’ organisations running all sorts of bizarre races and trials including ‘top-gear’ trials, where the aim was to go as far as possible without changing out of top gear. With these activities the car really was starting to replace the horse, not just for transport but in the imagination and human psyche as well. As with the horse (especially the saddle horse), car ownership was an opportunity to demonstrate taste and its absence, affluence and masculinity, while having the practical mobility advantage’. This increased use of cars of course required improved roads. Early motorists were rich, influential and had political clout. 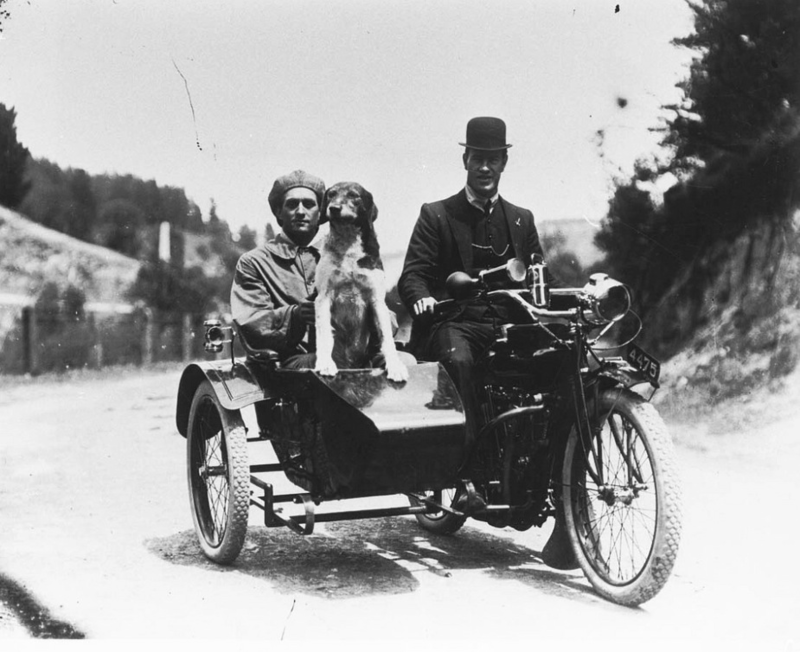 It soon became clear that motor transport was more than a hobby but an effective means of transport and the roads of the day needed to cater for cars and motorbikes. Most of Australia’s rural roads were in poor shape in the early twentieth century. The best were in New South Wales but even there earthworks were limited and surfaces rough. Victoria, the richest state with the best railways had the worst roads relative to its population and wealth because so much had been invested in its railways. Rural roads’ main transport functions were confined to local needs such as taking produce to the nearest railway station or port. The beginnings of the motor age changed all that dramatically. The motor age itself was anticipated by a decade by a new form of transportation which had similar, but more modest requirements than the car. This was the bicycle, which came to Australia in the 1870s and was extremely popular from the 1890. Early bicycles were not cheap, although prices quickly reduced, but they were almost free to run and sufficiently simple for their owners to maintain. Bikes had two disadvantages over the horse; they demanded human effort and needed good, smooth roads. The human effort factor was and is an advantage. The popularity of cycling increased the pressure on councils to improve the quality of streets, especially in the suburbs where cycling was most popular. At that time, most suburban roads were as bad as rural roads. Most were dusty in dry weather and muddy in wet, many degenerating into quagmires in prolonged wet periods. Early bikes were cumbersome ‘penny-farthings’, which were harder to mount and every bit as nasty as a horse from which to fall. The development of the safety cycle, essentially the modern design with equal-sized wheels and a chain drive, made cycling safer than riding a saddle horse and far more accessible to women. ‘Cyclists were numerous enough to have political clout and their demands for improved street paving were vociferous and hence the standard of roads especially in the suburbs began to improve’, the ‘Linking the Nation’ report said. The Great Depression, which seems a good time to end this truncated history of early motoring in Australia, and then World war II affected motoring as much as other activities in the economy. ‘The fall in car registrations shows that the Australian middle class felt the impact of the Depression and had to cut back on luxuries, cars an example. Car registrations in New South Wales fell from a pre-Depression 1929 peak of 170,039 to 144,749 in 1931. Thereafter they recovered, passing the 1929 level in 1935 and peaking again at 207,446 in 1940. Registrations fell again to 172,028 in 1942, and were still at only 188,412 in 1945. Petrol rationing through the 1940s kept car demand low and as late as 1950 there were still only 269,250 cars on New South Wales roads, less than 100,000 more than the 1929 figure. So, for the twenty years after 1929, the impact of the motor car was actually quite limited’. This summary of his life, slightly truncated, is from the ‘Australian Dictionary of Biography’. Harley Tarrant (1860-1949), businessman, was born on 6 April 1860 at Clunes, Victoria, son of Joseph Tarrant, miner, and his wife Caroline, née Brownlow, both from Oxford, England. His father owned the Clunes Gazette and later the St Kilda Chronicle and Prahran Chronicle. After attending Clunes Grammar School, Harley was articled to a firm of civil engineers; he worked as a surveyor on the Nullarbor Plain and from 1884 for the New South Wales Department of Lands. In 1888 he set up his own surveying business in Melbourne and undertook commissions for the Melbourne and Metropolitan Board of Works. His interest in motoring began in this period. In 1897-98, basing his account primarily on overseas journals, he helped to publicize the new motor car in the cycling monthly Austral Wheel. His rural background and surveying experience had made him aware of its potential value in a country of immense distances and relatively few railway lines. In August 1897 he patented an engine powered by kerosene, a fuel which he declared to be safe, cheap and readily available, whereas electric motors needed recharging stations and steam-driven machines were dangerous and ‘too heavy for rough country roads’. Although his first car was a failure, its kerosene motor proved suitable for such stationary work as pumping water to farm houses. By 1899 he sold his engines as far afield as Western Australia. 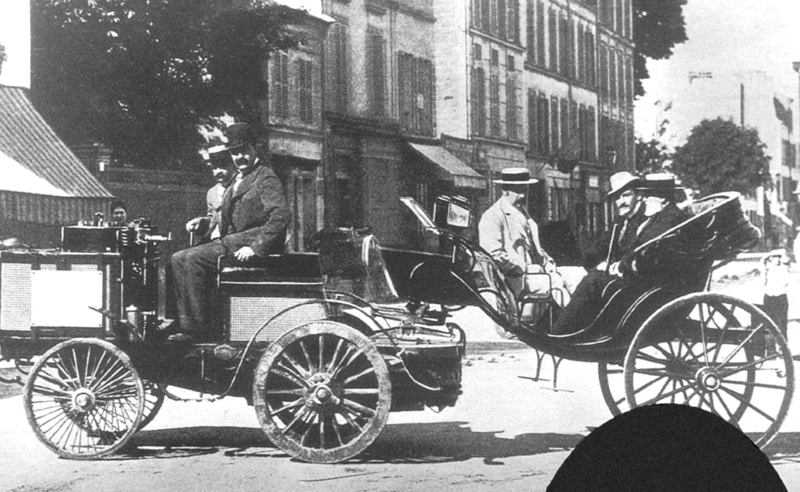 With larger premises, he also imported cars, beginning in February 1900 with a Benz. 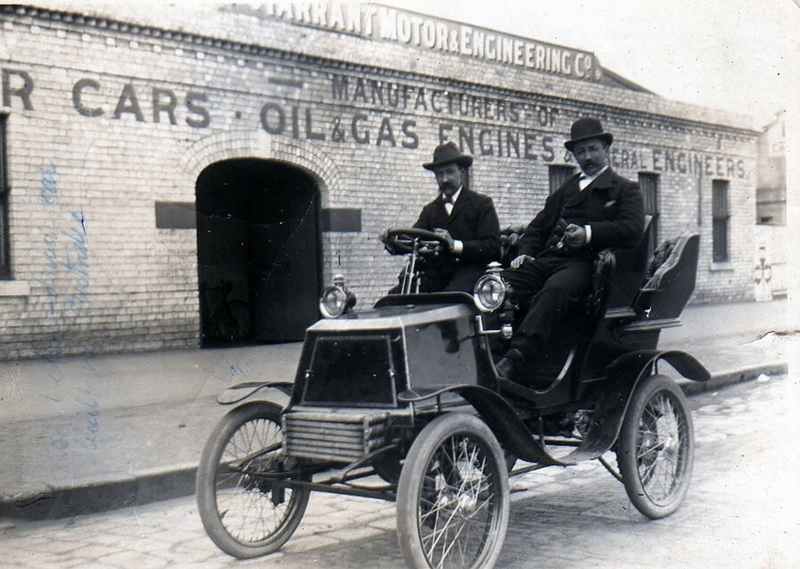 Business boomed and the profits enabled Tarrant and his partner in Tarrant Motor & Engineering Co. WH Lewis, to build one of the earliest Australian-made, petrol-driven cars: completed in 1901, it had an imported Benz engine. 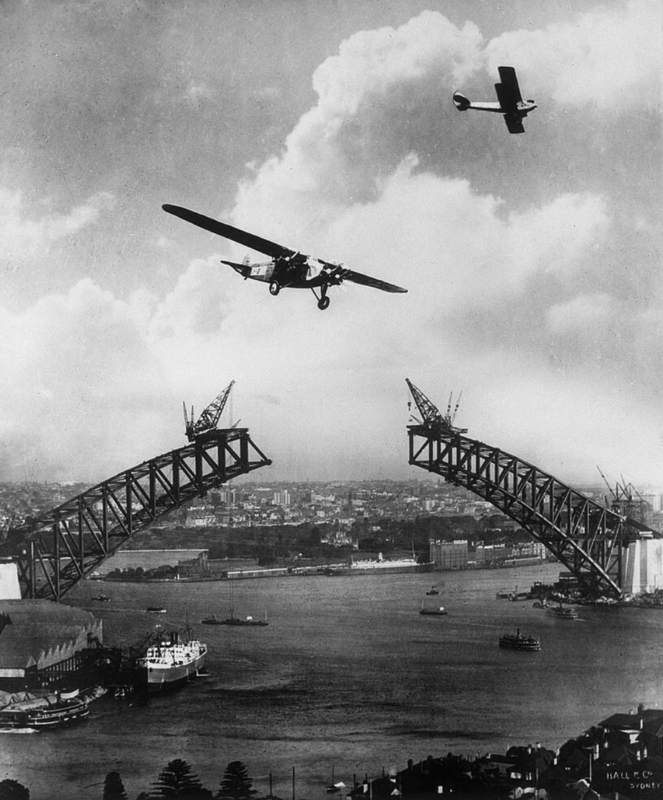 Two years later their next machine was 90 per cent locally made, including the engine, and became the prototype for at least eight others, all built—to suit Australian conditions—for endurance rather than speed. 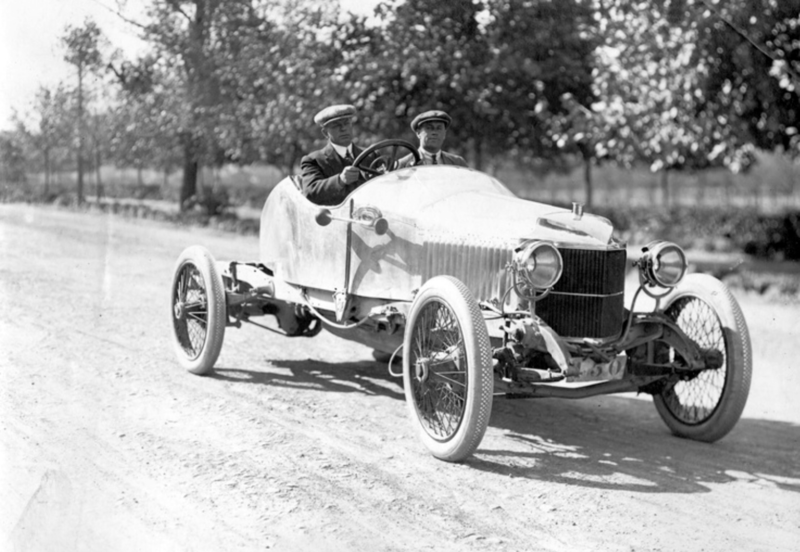 Tarrant’s victory in the two Dunlop reliability trials of 1905 and the success of a Tarrant car in 1906 helped to develop confidence in local manufacturing, but he could not compete with imports produced in larger numbers for a bigger market, especially after Tarrant Motors Pty Ltd acquired the Victorian franchise for Ford in 1907. Nevertheless, the firm made three aero engines for the military in 1915 and continued to manufacture motor bodies which, being bulky, were expensive to import. During World War I the company began assembling chassis from imported components; by this time it also had a thriving spare parts, accessories and repair business. Tarrant played an important role in local motoring affairs. He lobbied on behalf of the Motor Importers’ Association for better traffic regulations and served in 1906-10 on the governing committee of the Automobile Club of Victoria, helping to demonstrate the capabilities of the motor car by organizing and participating in the club’s competitions and tours. In 1904 he had won his event in the club’s first motor race meeting, averaging 26 miles (42 km) per hour. After the war Tarrant retired from the business, sufficiently wealthy not to need to work, he freely indulged his passion for camping and overseas travel. In 1932 he came out of retirement to take over production supervision at Ruskin Motor Bodies Pty Ltd, an affiliate of the Tarrant company. A tall, dignified man with a bushy moustache, he had done much to pioneer and consolidate the first phase of the Australian motor industry. Tarrant died on 25 February 1949 at his Toorak home. The company was sold in 1950 to the Austin Motor Co (British Motor Corporation).